Serving others is one of the hallmarks of being a follower of Jesus (Matt 20:26-28). That is why we encourage believers to use their gifts, skills, and experiences to serve others at River Oaks. 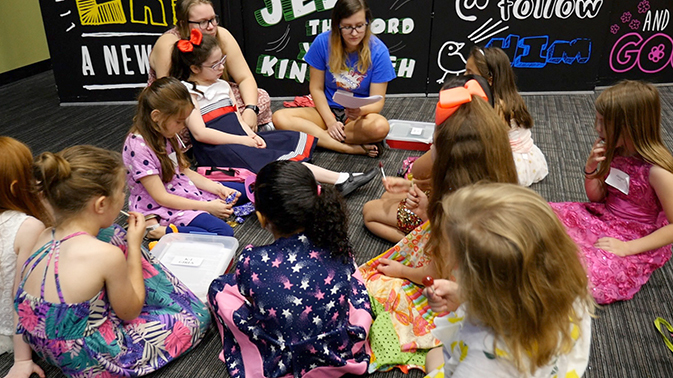 From helping direct cars in the parking lot to leading a Bible study of high school students, there are endless ways you can contribute to the body of Christ. Discerning how God has gifted you and finding where He wants you is a process that requires the freedom to explore. The best way to explore your gifts is to choose a ministry and start serving. Change a diaper. Change a mind. Change a life. Okay, maybe it's not that simple, but think about the difference you can make in someone's life by spending a bit of time with them on a Sunday morning! Follow the link below to view our volunteer opportunities in the Noah's Ark Ministry for nursery and preschool children.